Everyone gets upset some of the time. High conflict people get upset a lot of the time. A simple technique called an “EAR StatementSM” can help you calm others down. This is especially helpful if you are in a close relationship, or in a position of authority with respect to them. High conflict people tend to emotionally attack those closest to them and those in authority, especially when they are frustrated and can’t manage their own emotions. The intensity of their uncontrolled emotions can really catch you off-guard. Bu,t if you practice making EAR statements, you can connect with upset people and usually help them calm down. EAR℠ stands for Empathy, Attention, and Respect. These are the opposite of what you feel like giving someone when he or she is upset and is verbally attacking YOU! Yet, you will be amazed at how effective this is when you do it right. Empathy is different from sympathy. Having empathy for someone means that you can feel the pain and frustration that they are feeling, and probably have felt similar feelings in your own life. These are normal human emotions, and they are normally triggered in people who are close by because emotions are contagious. When you show empathy for another person, you are treating that person as a peer you are concerned about and whom you can relate to as an equal in distress. Sympathy is a feeling that arises when you see someone else in a bad situation that you are not in. You may feel sorry for that person and experience sympathy or pity, but the two parties are often a one-up and one-down position. There is more of a separation between those who give sympathy and those who receive it. Getting attention is one of the most important concerns of high conflict people. They often feel ignored or disrespected and get into conflicts as a way of getting attention from those around them. Many have a lifetime history of alienating the people around them, so they look to others – professionals, friends and new acquaintances – to give them attention. Yet, they rarely feel satisfied, and they just keep trying to get more attention. If you show that you are willing to pay full attention for a little while, they often calm down. Put your hand near them, such as on the table beside them; (Be careful about touching an upset HCP – it may be misinterpreted as a threat, a come-on, or a put-down). Anyone in distress, and especially HCPs, need respect from others. Even the most difficult and upset person usually has some quality that you can respect. By recognizing that quality, you can calm a person who is desperate to be respected. Many high conflict people are used to being disrespected and being independent and “not needing others.” This characteristic often leads them into conflict with those around them, who don’t wish to see them as superior and are tempted to try to put them down. This just makes the HCP even more upset. Upset people, especially high conflict people, may not be getting empathy, attention and respect anywhere else. They usually have alienated most of the people around them. It is the last thing that anyone wants to give them. They are used to being rejected, abandoned, insulted, ignored, and disrespected by those around them. They are starving for empathy, attention and respect. They are looking for it anywhere they can get it. So just give it to them. It’s free, and you don’t sacrifice anything. You can still set limits, give bad news, and keep a social or professional distance. It just means that you can connect with them around solving a particular problem and treat them like an equal human being, whether you agree or strongly disagree with their part in the problem. Many HCPs also have a hard time managing their own emotions. 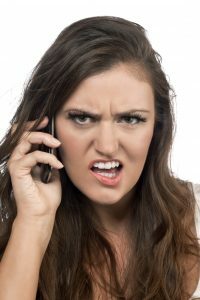 Since brain researchers have learned that we “mirror” each other’s emotional expressions, it makes sense to respond to upset people with a calm and matter-of-fact manner – so that they will mirror us, rather than us mirroring their upset mood (which is what most people do much of the time – and it just makes things worse). Of course, this is the opposite of what we feel like doing. You may think to yourself: “No way I’m going to listen to this after the way I’ve been verbally attacked!” But, that’s just your amygdala talking, in an effort to protect you from danger. Our brains are very sensitive to threats, especially our amygdalas (you have one in the middle of your right brain and one in the middle of your left). Most people, while growing up, learn to manage the impulsive, protective responses of their amygdalas and override them with a rational analysis of the situation, using their prefrontal cortex behind the forehead. In fact, that is a lot of what adolescence is about; learning the difference between a crisis, which needs an instant, protective response (amygdala) and situations which are not crises that, instead, need a calm and rational response (prefrontal cortex). High conflict people often were abused or entitled when growing up and didn’t have the secure, balanced connection necessary to learn these skills of emotional self-management. Therefore, you can help them by helping yourself not overreact to them. Just use your own prefrontal cortex to manage your own amygdala – which will help the upset person manage his or her own. To help you stay calm in the face of the other person’s upset, remind yourself “it’s not about you!” Don’t take it personally. It’s about the person’s own upset and lack of sufficient skills to manage his or her own emotions. Try making EAR statements, and you will find that they often end the attack and calm the person down. This is especially true for high conflict people (HCPs) who regularly have a hard time calming themselves down. All of the EAR statements above are calming statements. They let the other person know that you want to connect with him or her, rather than threaten him or her. It’s their issue and you don’t have to defend or explain yourself. It’s not about you! Upset people are often hypersensitive to lying. If you really can’t feel empathy for the person, find something that you can respect that he or she has done. If you really can’t respect the person, then simply pay attention. You can always just say: “Tell me more.” This calms the person, because it tells him or her that you will listen without needing to be persuaded to do so. If your body language shows you are open to listening, most upset people feel better and will calm down enough to tell you what’s going on. EAR doesn’t mean just listening. It’s a statement in response to the person’s upset mood, which you can use at any time. It can help you wrap up a conversation if you need to do something else. High conflict people are known for talking endlessly. Keep in mind that high conflict people often don’t get a sense of relief from telling their story or talking about their pain – they have told it many times, and it is stuck. Often, they are stuck trying to get others to give them empathy, attention, and respect, so that if you just give them an EAR statement, they may not feel the need to keep talking or talk so long. 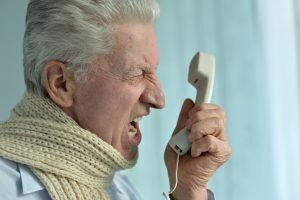 You can interrupt an upset person much of the time, by saying how you can empathize with and respect the person. Giving your empathy, attention, and respect helps you connect with an upset person as a human being. It doesn’t mean that you agree or disagree with their point of view. Too often, people get stuck on arguing about an “issue.” But with high conflict people, “the issue’s not the issue” – it’s their inability to manage their own emotions and, sometimes, their behavior. If you are challenged about whether you agree or not, simply explain that you care or want to be helpful. Giving your empathy, attention, and respect to an upset person doesn’t mean that you have to have a close relationship. You can still maintain a professional relationship, co-worker relationship, neighbor relationship, etc. In fact, it is wise not to become too close to a high conflict person, so that you don’t raise their expectations of you becoming responsible for their welfare or planning to spend more time together than you intend. Everyone gets upset some of the time. You don’t have to be a high conflict person to be upset. At moments of trauma, anger, and sadness, we really need the human connection of knowing that someone has empathy for us, is paying attention, and still has respect for us. You can give anyone an EAR statement to help them calm down. Nothing in this article is intended to mean that only HCPs get upset. Making EAR statements – or non-verbally showing your Empathy, Attention, and Respect – may help you calm or avoid many potentially high-conflict situations. It can save you time, money and emotional energy for years to come. But it takes lots of practice. 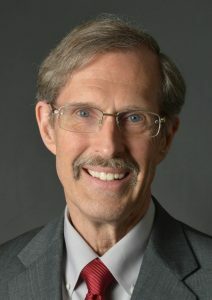 Bill Eddy, L.C.S.W., J.D., is a lawyer, therapist and mediator. He is the President of High Conflict Institute, which provides training and consultation for dealing with high-conflict people and situations. He is the author of several books on high-conflict personalities and has developed the following methods for managing high-conflict people in any situation: New Ways for Families®, New Ways for Mediation℠, New Ways for Work℠, The CARS Method℠ and BIFF Response®. To learn more about his organization’s training, coaching, consultation and videos, visit HighConflictInstitute.com.